Like an attractively framed portrait, the Lincoln was designed to show off art on glass. 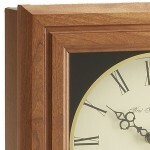 Perfect mitering epitomizes the construction that makes this clock universally popular. 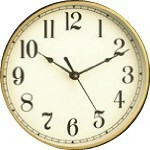 A handsome addition to any home or office, the Lincoln features a large face and lower glass, either or both of which may be customized with your logo, seal or family name. 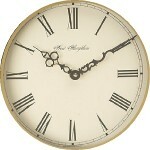 Available in Autumn or Burgundy finish with Arabic or Roman Numeral dial and optional engraved brass plaque. 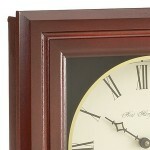 The midrail is ideally suited for mounting a personalized brass plaque. North American hardwood in Autumn (light) or Burgundy (dark) finish. Rich gold and black lower glass with customizable logo.